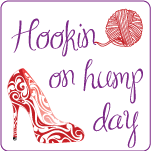 Calleigh's Clips & Crochet Creations: Crochet Pattern Black Friday-Cyber Monday Deals! 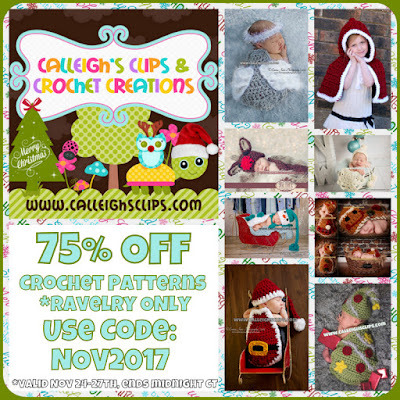 Crochet Pattern Black Friday-Cyber Monday Deals! That's about $1.49 a pattern. This past year I've had to take the focus off crochet though. I took a part time job in March and starting this next week I've taken a Assistant Management Position and will become full time back into work after about 7 years of not working outside the home. Balancing it all as a Wife, Mother, Business owner and part time working hasn't been easy. I miss the time to design. I have to figure out how to make it all work. 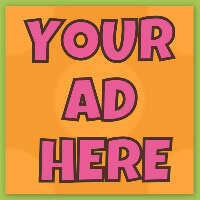 It may be quieter around here but I've got plans and designs to come as I can. Of course I'm always open to custom orders too. I was just thinking how thankful I am that I got to do this for 7 almost 8 years while raising my little ones. Thank you for helping me be able to do that! I hope you had a wonderful Thanksgiving and Happy Holiday's ahead! Enjoy the sale!